Russians will upgrade the legacy aircraft to the standard that India wants, say IAF sources. India currently has three squadrons of MiG-29. 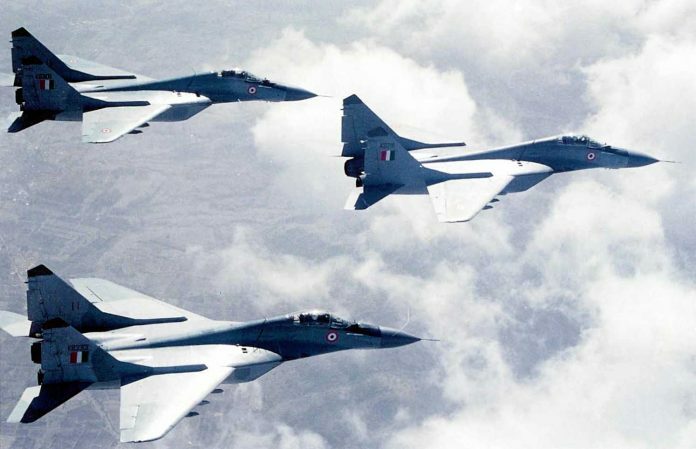 Sources said this also rules out any additional orders for Su-30 MKI to the Hindustan Aeronautics Ltd (HAL) except for the nine aircraft that the IAF might order to replace the ones that crashed. IAF does not want F-16 and has rejected it multiple times. What happened to the Lockheed Martin proposal to manufacture For 16 in India. Even before Modi came there was talk of 300 planes jointly made in US and India? These would have been 21st century and not the MIGs of an earlier era. At least once India should have a retired military officer as PM. He would understand such things better. F-16 platform is older than Mig-29’s. Please check your facts anywhere on the web…it all depends on upgradation…most F-16’s are operated by US allies and are regularly upgraded unlike soviet client states who operated cheap mig-29 variants in large nos.